Using design, quality materials and strong relationships with Europe's premier manufacturers Multiwood Kitchens are able to produce products that set industry standards. Our range of Multiwood kitchens include Cosdon and Welford, which includes three fabulous colours of pink champagne, shimmering grey and iridescent moon. We also have a range of new Multiwood kitchens from the modern looking Cosdon Foundry, which has a metallic finish, through to the wonderful shaker kitchens of Abberley and Hartside. Can't find the right colour? 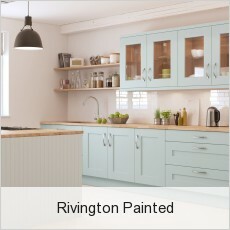 Multiwood painted kitchens are available in a range of 28 fantastic matt painted colours or each of these painted kitchen ranges is also available in a RAL colour matching option. Please contact us for more information. The carefully selected palette comprises 28 of the most beautiful colours and are often specified by contemporary interior designers. Each colour is compatible with the timber and matt ranges. In addition if your chosen colour is not within the 28 colours then we offer a RAL colour matching service. 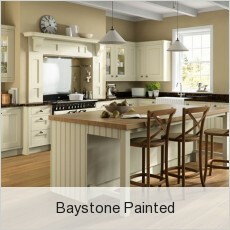 These 16 beautiful colours take their inspiration from Italy and are painted with a gloss finish. They are available on the Welford and Haddington door ranges.